Applause is a stunning 16.2hh bay 2005 Warmblood gelding. He is safe and uncomplicated with a big stride and jumps in great style. Applause is a competitive High Performance and derby mount. He was the 1st Half Circuit Champion in the High Performance Hunters during HITS Ocala 2017. 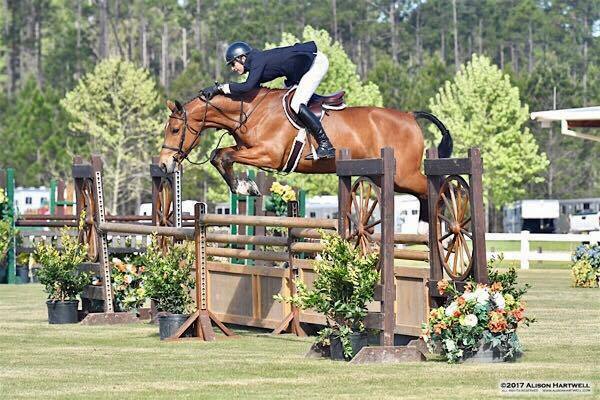 During the April Jacksonville Spring Classic, Applause placed 6th in the $25,000 International Hunter Derby week 2 and won a 3'6" Junior Hunter class week 3. Please email or call Emil at 908-693-5419 for more information.